The Ugly Indians (TUI) are a group of civic volunteers who have been responsible for cleaning and reclaiming many public spaces in Bangalore. From mini landfill covered footpaths to pan stained subways and poster covered under passes, the project (TUI) has found ways to clean it and yes reclaim it. They even restored a public toilet. Only recently they held a very chic cultural event in a cleaned and painted subway. Last year they hosted an art exhibition in a transformed underpass. 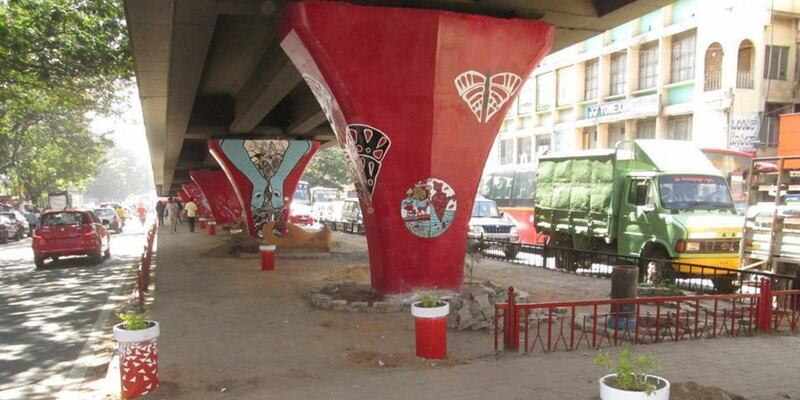 TUI has successfully made art canvases out of flyover columns. It makes me as a resident of Bangalore proud to see such character in my city and I am only too happy to show it off when Mumbaikars or Delhities happen to visit Bangalore. The Tui project took Bangalore by storm. They called it stories of hope. On their Facebook page on a regular basis one saw people dressed in western clothing with gloves and masks cleaning streets. The young hip Jain college crowd, the understated rich Basavanagudi/Maleshawarm residents, and the savy techies of Indranagar and Koramangala getting down and dirty were some common features on their facebook page. It was really something. Even the then mayor of Bangalore was seen joining in for one such story of hope. All this was so infectious, that soon many other such volunteer civic groups followed. Bangalore had substantially cleaner looking roads but still they were not as clean as they should have been with the amount of effort that was going into it. Every resident of Bangalore was keen to have a clean city. We all had not just willed it but had also taken steps in this direction. Still there were new heaps of waste forming on street corners. Garbage lying uncollected. I was told this was because a nearby village, Mandur, which hosted the landfill/dump-yard filled with Bangalore’s waste, was up in arms and was not ready take any more of our waste. Then started one of Bangalore’s biggest wooing sessions. The BBMP, the local municipal corporation, promised to lay new tarred roads in Mandur, assured them of clean drinking water and free medical camps. All this for what? So that they would for eternity host our waste at the cost of the health and livelihood of many villagers. Clearly as a city we had adopted the wrong outlook towards our waste. We had taken rather a myopic view towards the situation. Almost like that neighbor who keeps his/her house spick and span while throwing all the waste secretly into the next door backyard . I think its time as a city which is keen on keeping its surroundings clean, managing waste more efficiently, we stop emulating this neighbor but turn to our past where we successfully managed our own waste without just pushing it away or cleverly hiding it. 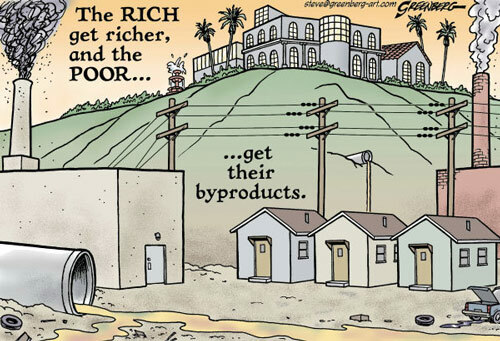 NIMBY is bad. good article. we clearly don’t see where we are throwing our garbage. such social initiatives are a must. especially when we tend to ignore our civic life so comfortably. we forget that this planet is not just ours. very crudely put. this is a piece of information we all should take forward. Interesting article about Bangalore waste issue. The solution for this problem, may not be an ultimate solution, but can be reduced the percentage of waste drastically going to the dumb yard is converting the waste into manure by using a drum composter. Which I saw in one of the NGO in the city.